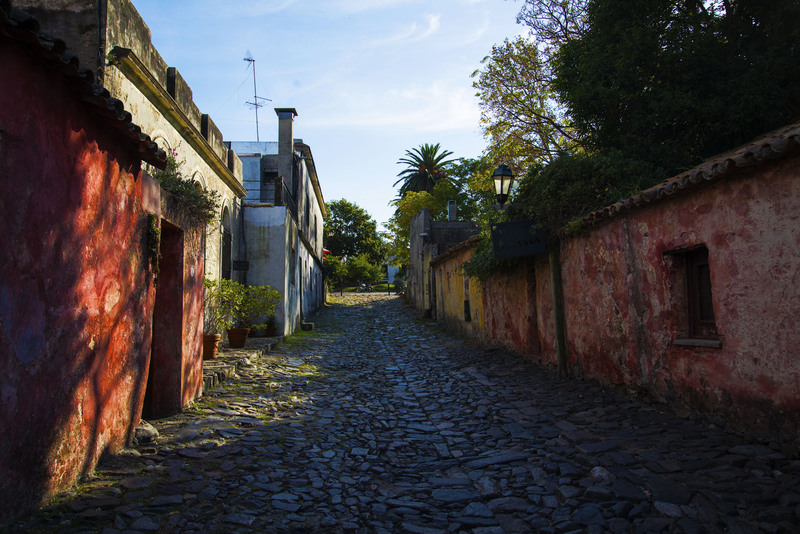 Colonia is a beautiful city in the South West of Uruguay. 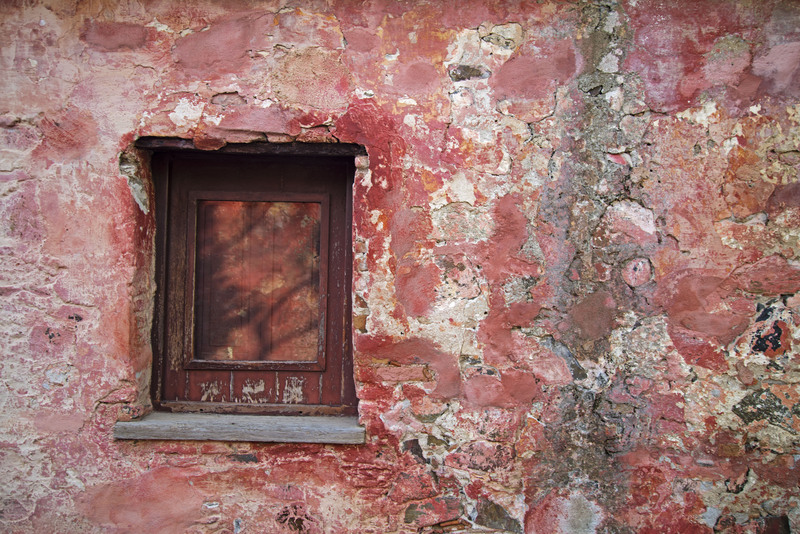 It is one of the oldest cities in the country and was established in 1680 as a walled town. 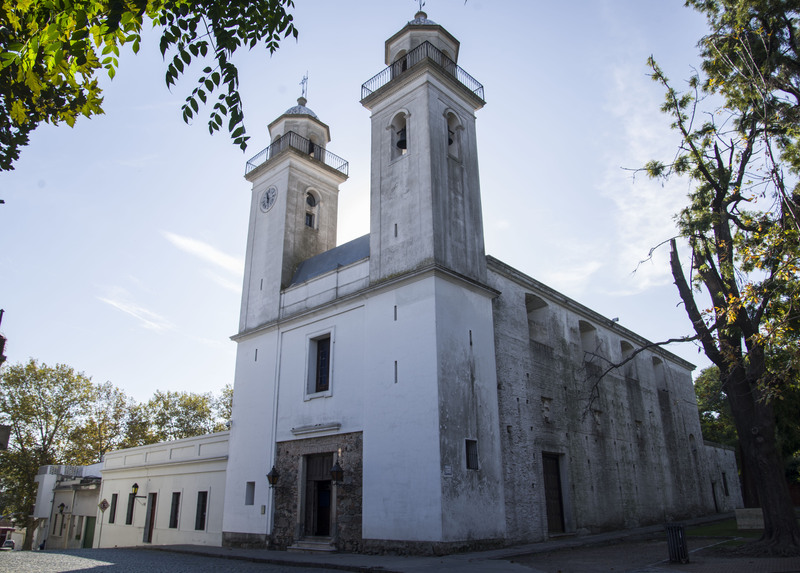 The city itself changed hands between the Spanish and the Portuguese before finally coming to rest as part of Uruguay in 1828. The old part of the city has been designated as a World Heritage Site. It seems sometimes that most of the places we go are Unesco designated some seemingly without too much merit. 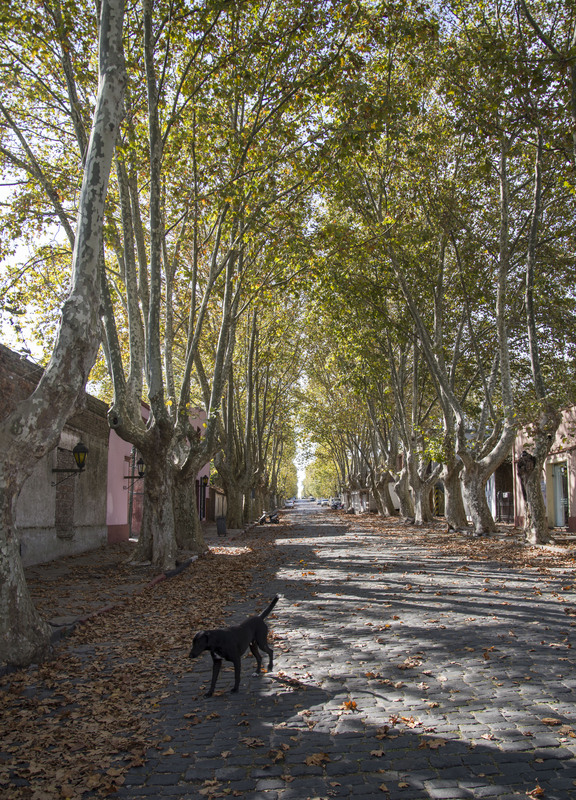 However Colonia was truly deserving as a beautiful old colonial city. We found a quiet campsite just outside the city which we could use to easily cycle into the centre and also sort our camper out before taking it for shipping back to Europe. We did take a small trip in the truck to the massive bull ring in Colonia – the Plaza de Toros Real de San Carlos. 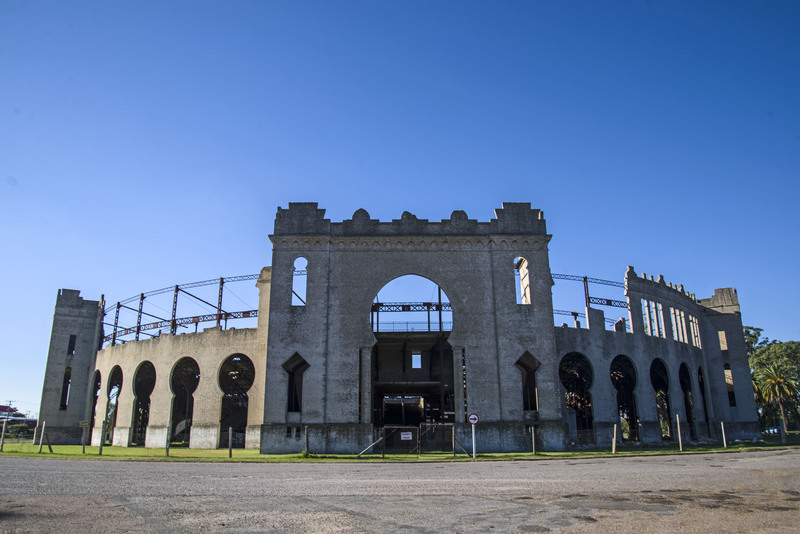 This was built in 1910 to host bull fights but unfortunately the Uruguayan government outlawed bull fighting 2 years later so it became a white elephant and is now crumbling and derelict. This was to be our last few days of camper living, BBQing and enjoying the sun. 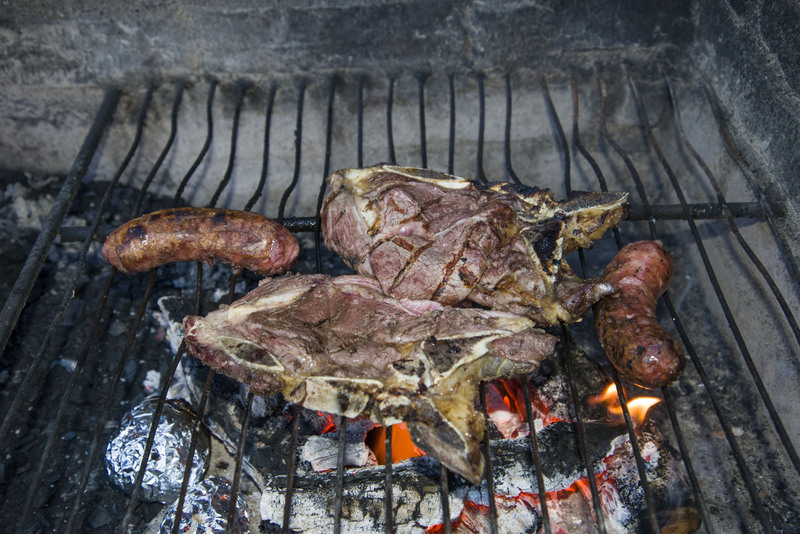 We took the opportunity to buy some great steaks from a local butcher and our last grill of the trip turned out to be one of the best meals that we’d had in our two years on the road. 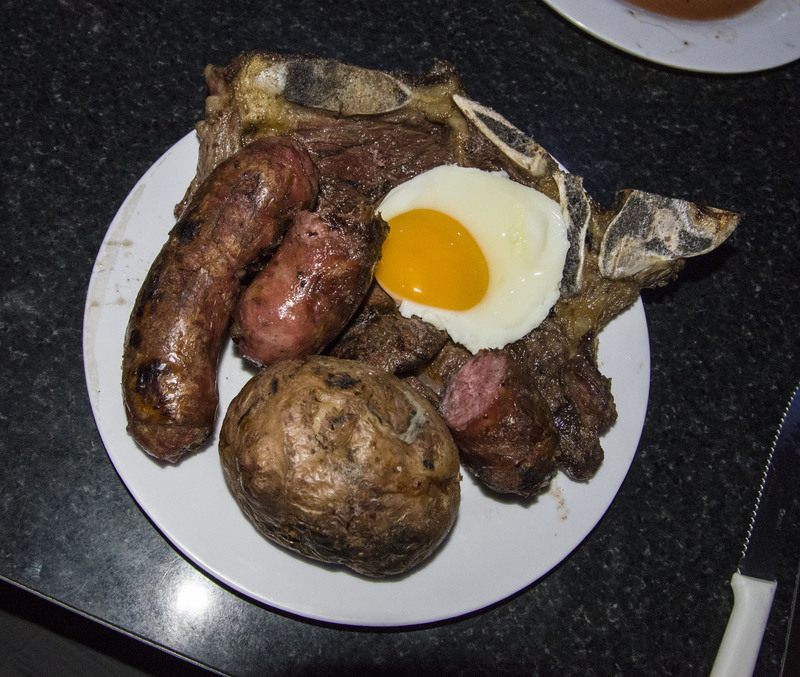 I don’t quite know how we’re going to the go back to European beef when we go home after having such amazing steak while we’ve been in South America. We cycled into town which was only 10 minutes away and enjoyed the old walled town and the small but beautiful historic area. 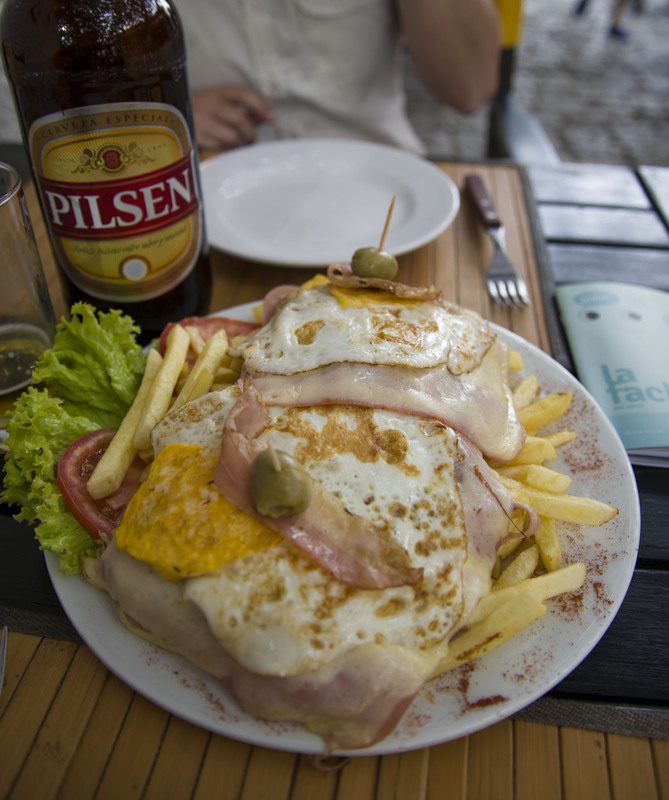 The Chivito sandwich is the traditional dish from this part of the world and we couldn’t resist visiting a restaurant which served the “King Chivito” and very tasty it was too. The town itself is very leafy and feels quite European. 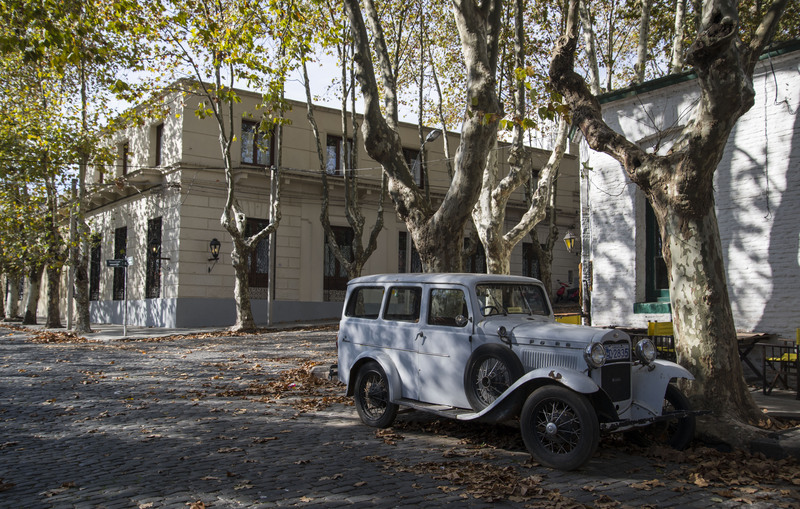 Throughout the town there are a number of vintage cars that are parked up as features and even a few that work ! 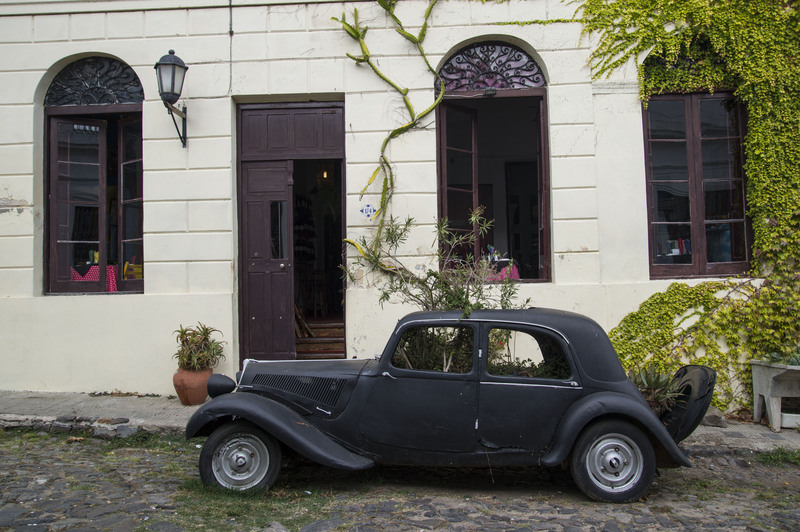 The downside of this part of Uruguay at this time of year is the large amount of mosquitos that were around seemingly all day (in the shade) and at dusk. After stitching some holes in the old faithful mosquito net up it went once again to provide us with some relief. 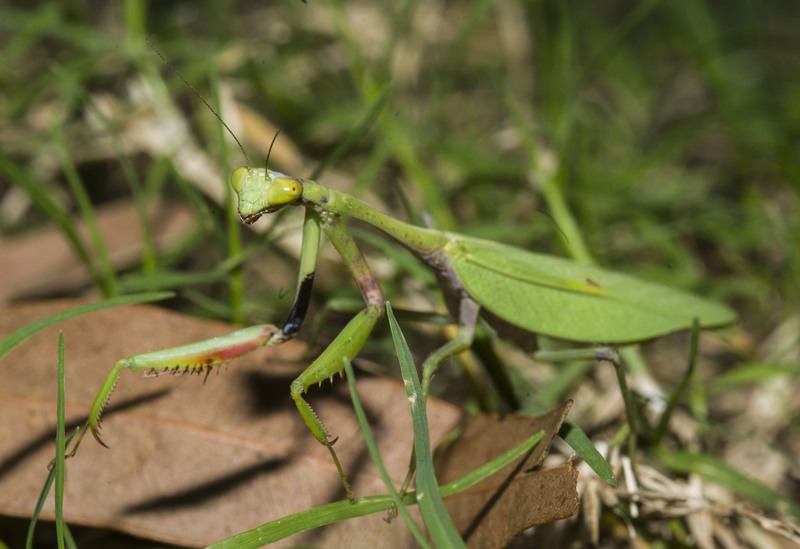 We did find a cool preying mantis under our truck – we were hoping he’d eat mosquitoes for us but I’m not sure they do that. While we were in Colonia we had to get the truck ready for shipping. So we spent part of the week emptying out our cupboards and lockers to throw away all the useless things that we had collected over the last 2 years. We also dumped some things that were at the end of their useful lives such as some clothes and our long suffering BBQ. Our bicycles and remaining food went to the very friendly campsite owners but we did manage to drink all our remaining booze. So it’s the end of the trip. What a pity! We liked our reading and your info. Sadly we will not meet. The ship you are leaving with is the same one as the one which will take us to Montevideo next month. Enjoy your sail back to Europe! i can’t believe your journey is nearly over. I say this rather selfishly since your posts will be quite missed. i have heard it said that those who embark on extended, nomadic adventures find the transition back to the normal ways challenging and after about a year set out on thier next great adventure. i wish you both well in whatever pursuits you find, but please, if you do set off on another adventure, remember to send an email out to all of us who you might not know but who have followed your journey from the start of your multi-contenent travels. I have been reading your post for two years and really enjoyed it, but not left a comment until now! It seems like you have had a blast – I hope it isn’t too much of a shock coming back!